Get Paid, Get FREE Stuff, Make Money. Home How can you get discounts toward your next purchase? How can you get discounts toward your next purchase? We are now offering some promotions for satisfied customers who have already received our products, which will allow you get a credit toward a future purchase from our website. Credits can even be combined to get better discounts. For example, let's say you already have a Saturn boat and want to buy bimini or electric pump. Follow the steps below, and you might end up getting it for very cheap, or even FREE! 1. What we need are real reviews from real people. We don't need fake reviews. We know it takes a little bit of time to actually go to a review site, login and write something honest, which is why we want to compensate you for your efforts. If you are happy with our products, we'd love for you to write a 5 star review on any of the review websites below. Then, just email us links to each of your postings in order to claim a $20 credit per review. Amazon (Click on any Saturn product, then either link "Be the first to review this item"
That is up to $120 in savings! Please note, we don't pay for reviews. We pay for the time it takes you to leave them. 2. Share a few paragraphs about your positive experience with our products, including at least one picture and/or video at the forum websites below. Then, email us links to each of your postings in order to claim a $10 credit per posting. Your posting should be informative. It also must be on a relevant forum topic, such as a discussion about Saturn, competing products in same category, or a similar type of product. We must verify and approve your postings for you to qualify for credits. You can even earn up to $100 in credits by posting 10 reviews! Suggested forums are listed below, and are grouped by interests. But feel free to post on any other relevant message boards that discuss inflatable boats, inflatable kayaks, rafts, and paddle boards. 3.Email us one full-page product review for our blog, which is located at blog.BoatsToGo.com. Please include at least 2-4 good quality high resolution pictures, or a link to a YouTube video showing your product in action. If we use your pictures and review on our website or blog, you will receive $40 credit toward a future purchase. value $500 to $600 - $25 referral fee paid. value $600 to $900 - $50 referral fee paid. 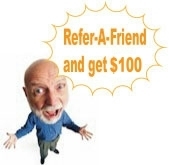 value $900 and up - $100 referral fee paid. Just email us the name of the customer you referred, and/or ask the customer to enter your name in a comments section during checkout on our web site. After we verify this information, we will mail you a check!